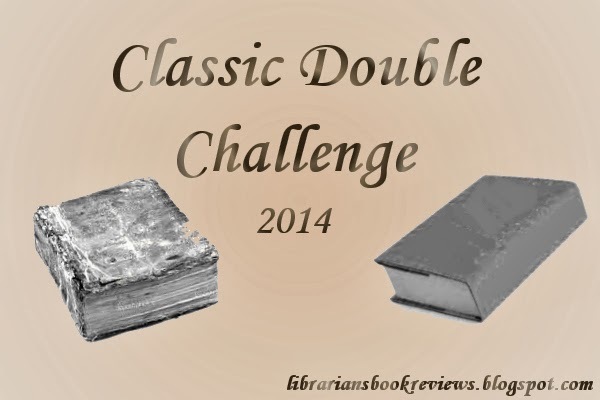 It's day 4 of Armchair BEA and I'm back for more! To find out more about this fun event, check out the Armchair BEA site. I've not been one of the unfortunate ones to run into plagiarism of my blog. This isn't to say it doesn't happen, but I'm not actively looking for it, nor do I suppose any of my readers either. I have watched from the sidelines of many plagiarism issues blew up in the blogosphere. I have never really wanted to add my two cents to the fray. I work with college students and I know very intimately the importance of citing your sources, giving credit, and the consequences in the real world of plagiarism. I've given many a lecture on how to cite your sources and when you should, though often when I graded papers later, I wondered if they had even heard me. This is not just a blogging problem, it is much broader than that. What I think is more insidious about it here online is that it is very easy to get away with. There is no one to "grade the paper" or "check your work." Many do not make that connection between what you read somewhere else and what you write on your blog. And it can be hard! What happens if you read something and it aligns with what you've been thinking. 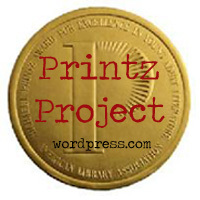 Does blogging about the same thing make you a plagiarist? Very likely, no. But, it never hurts to link back to that other person, if only to say, "My thoughts are similar to this person's." I've tried to do this when I read a review that says what I wanted to say, only better. I guess my only advice is to be aware of what you read and what you blog. Remember to link to those people who may inspire or get your thoughts flowing. It's better to share the love than end up on the brunt end of a plagiarism "scandal." What do you recommend? And how do you deal with plagiarism? It's day 2 of Armchair BEA and I'm back for more! To find out more about this fun event, check out the Armchair BEA site. 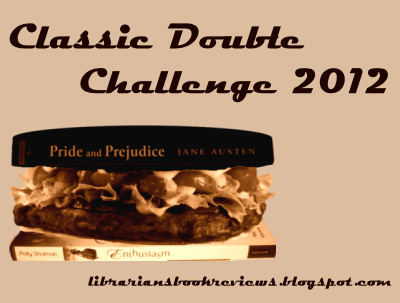 Since the two topics available today are blogger development or genre fiction, and I'm feeling particularly underdeveloped, I am going with genre fiction. What draws me to a specific genre? Well, there are some plots, some premises that just seem to scream my name from the back covers. I've always been a huge fan of fantasy. There is nothing like the mention of magic, dragons, elves, or fictional worlds to get my reading drool flowing. Classics like Lord of the Rings or newer goodies like The Seven Realms series are just my cup of cocoa. I like to have my mind taken away from the dreary of this world (even if it is into the dreary of another). High fantasy is especially delightful. I think magical worlds existing right there in our own are fun and I can devour a historical fantasy as fast as the next goblin. But there is something so perfectly enticing about books that take place elsewhere. I believe fantasy will always be my first love. But not my only love, of course. The huge boom in dystopian fiction has really fascinated me as well. I love speculative fiction and science fiction (or are they synonymous, I'm not really clear on this), though I've not read many of the classics in those genres. Stories that take place in space or that have a large chunk of space-related stuff tossed in are a big weakness for me. Having spent four years of my life studying physics and astronomy, that is only natural. But there is also something so delightfully terrifying about taking a look at our possible horrible future. I remember being super enthralled by Fahrenheit 451 and 1984 in high school. What if that was our future? With the huge surge (thanks to The Hunger Games), I've been quite satiated with the many great futuristic offerings. And I'll be the first to admit I'm terrible at delineating what is dystopian, what's simply futuristic, what's apocalyptic, etc. It's simply convenient for me to toss them all under that umbrella, though obviously many of them are not dystopian in nature. I guess I'm not much for making sure my books all fit neatly into one little box, though I tend to label things that way for convenience. I like those books that can cross genres or take a little bit of something from multiple genres. I also like my labels. So, I try to lump everything together under one broad label and then hope that I can make lists to help make better connections between books. It's flawed, but it works for me. I'd love to hear your genre-love and any recommendations for my obvious genre appetite. It's the start of Armchair BEA and I'm happy to be able to join in for at least some of the days. To find out more about this fun event, check out the Armchair BEA site. Today is introduction (and classic book discussion, though I'll probably not get around to that) day! Here are my answers to five burning questions you have about me (haha). This was a lovely rain storm complete with flooding. 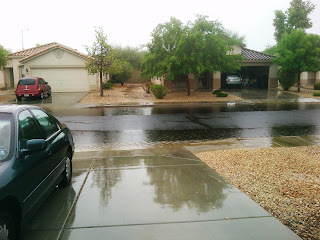 Monsoon season! 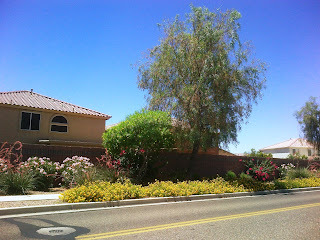 Next up we have some of the gorgeous flowering bushes strong enough to survive the heat. Plus, we have one of these. You know, the Grand Canyon. Just sayin'. 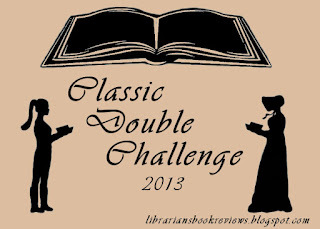 What are you currently reading, or what is your favorite book you have read so far in 2013? I just realized this is the same non-book-related thing I shared last year, but I'm hoping you'll all have forgotten. 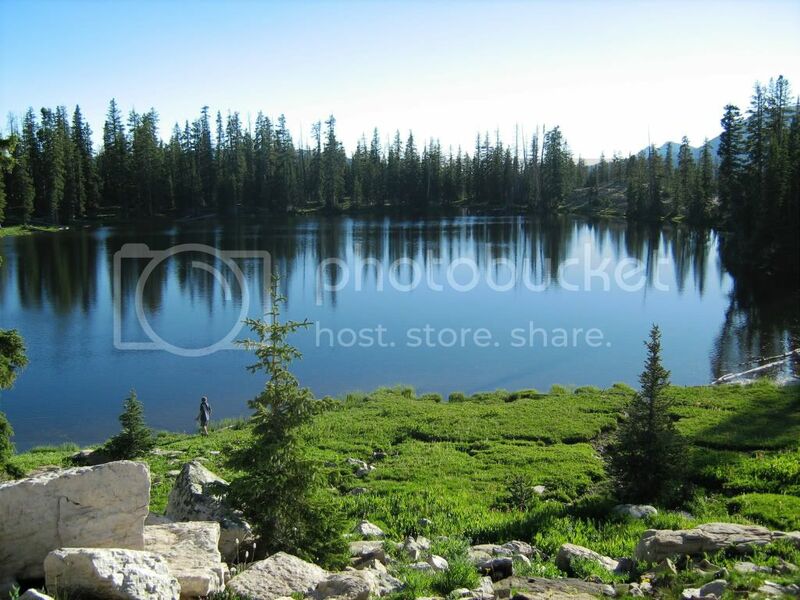 I LOVE to go camping and hiking. With views like this, who can blame me? Name your favorite blog(s) and explain why they are your favorite(s). I have a number of regulars that I read, though I don't always comment as much as I should. Suey at It's All About Books is a favorite, because her posts and reviews are always like chatting with a good friend. 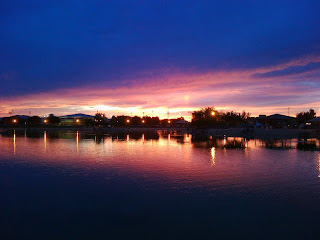 Susan at Bloggin' 'bout Books has an eclectic array of reviews and never beats around the bush about how she felt about a book. Charlotte of Charlotte's Library feeds my need to know about MG sci-fi and fantasy books that are fabulous. What literary location would you most like to visit? Why? This was actually the hardest question for me to answer. But, I think I'd like to cheat and say England to visit some of the many, many literary locations in literature that I love. Especially any Austen-related places. It's just a rich source for wonderful literary places. Thanks for stopping by to learn more about me and be sure to let me know if you've done an intro for Armchair BEA so I can stop by and learn more about you! Harriet has been oppressed by her father and her aunt for years, her only joy coming from her ballet classes. But when even this is threatened, Harriet decides to take a chance and run away to South America with a ballet company. There she meets the mysterious and rich Rom Verney and gains experiences she never expected to have in her lifetime. 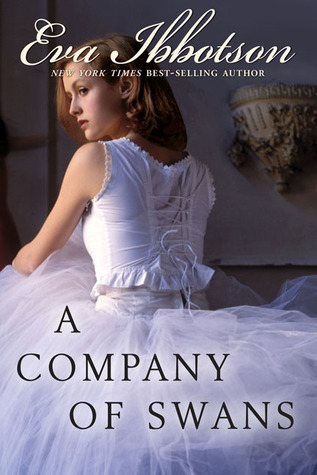 This was a pretty interesting story, especially for anyone who loves ballet (I don't particularly). I liked Harriet for the most part, but I especially liked watching her come out of her shell and recognize her worth over the course of the book. The historical setting and also the South American setting kind of gelled together to make a sweet little story. I listened to this one on audio, and that probably wasn't the best format for it, as the writing tends to be a bit flowery and loquacious at times, which is sometimes hard to follow. The narrator, Patricia Conolly, did a pretty good job with it, though it was dull at times. I was entertained, though I think I would have liked it more at a different stage in my life. The love story would have been awesome to me a few years ago, but not so much anymore (and I have no idea why that is). I have to admit, it got a bit boring. We listened to this one on a long drive and it just kind of made my eyes glaze over. While I thought the story was interesting, it was very much predictable. In fact, a few times I turned to my husband and said, this is what's going to happen. And then it did. He wondered how I knew, but it just seemed so obvious. Also, I was a bit annoyed by Harriet's decision to become a "fallen" woman at the end. I found it a bit too much change too quickly. And it seemed a bit over the top in the treatment she received from the hands of her family, though I suppose it wasn't entirely unrealistic for the time. I rolled my eyes a few times, but managed to enjoy it in places as well. I've not been really impressed with Ibbotson's books thus far. Is there one I really need to try before I give up? Humans and dragons still don't trust one another, despite the centuries of peace that have existed between them. And then it seems that whoever is behind a mysterious murder and conspiracy plot is determined to break that tenuous peace. Seraphina, caught between both worlds, finds herself caught up in this plot and wondering just how she can bring back the peace. This was a fantastic and beautifully written fantasy! 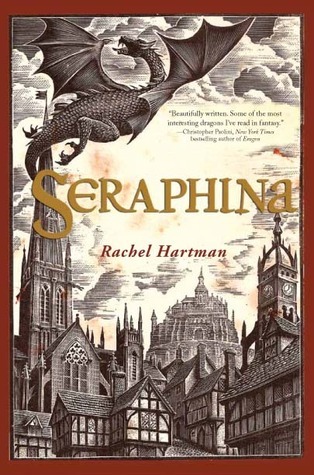 I loved Seraphina (the character) and how complicated and tough and never-give-up she was about her difficult life. I was swept up in the world and the details - the garden of grotesques was particularly awesome. The dragons were interesting and unique and a fresh look at an age-old fantasy character. I was particularly pleased that Princess Glisselda didn't turn out to be a typical princess - bratty, rude, etc, though she was obviously privileged. I don't know that I can put my finger on what exactly I loved the most, though I was quite pleased with the ending too. Just a wonderful fantasy for folks looking for something to whet their appetite for the fantastic. This is entirely the fault of my personal reading circumstances, but I had to rush through parts of it and I think that left me feeling like I wasn't quite sure of what was happening at times. Also, while I loved the mystery of it and was surprised by several things, I did see much of what Seraphina learned coming. Still, it did not detract from my enjoyment much. What did you think of this Morris award winner? Cordelia, Letty, and Astrid seem to have everything they wanted - plenty of money and nothing to do but play. Except Letty is more determined than ever to become a Broadway star, Cordelia is trying to find her place in the family company after her father's death, and Astrid is discovering that not everything is perfect when you're engaged to a gangster. Will the three of them find what they are looking for? And at what cost? The narrator, Caitlin Davies, did a really great job. I thought each of the three main ladies voices were distinct enough I could almost always tell who was talking without any kind of intro. She also had the write inflections and tone for what I imagined for that time and place. The story itself is fascinating, as are all of Godberson's gossipy stories. You can't seem to look away from what appears to be the slow train wreck of their lives. The period details seem pitch perfect (though, let's be honest, I probably wouldn't notice if something was out of place). An interesting and exciting story from the 1920s, a time period that continues to fascinate me (and apparently everyone else, what with the Great Gatsby movie just out). I got a little tired of the characters and story after a while. I wondered a number of times if people really would react (or overreact) the way they did. Each of the three leading ladies would think the world came to an end every time something didn't go perfectly their way. It got a bit tiresome. Also, I started to think the plot a bit predictable, but not in the sense that I knew what exactly was going to happen next, just that you have to have this thing happen, so these people will argue and these people will break up and she won't get what she wants after all, etc, etc. 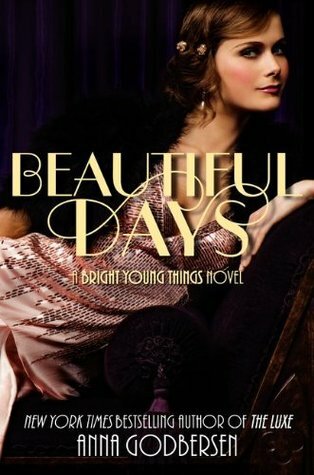 What 1920s reads are you raving about? A retelling of Rebecca by Daphne du Maurier. One of my favorite books of all time and I haven't had luck with a retelling yet. But this one came out just this month, so I'll have to give it a try! Based on Edgar Allan Poe's creepy poem, "Annabel Lee," this promises to be a strange and twisted tale. Plus, it has other Poe references thrown in for good measure. Coming in June. I'm sure you can guess what this is a retelling of. What sounds intriguing is the possible sci-fi, maybe futuristic feel of the setting. I'm intrigued! This one comes out in July. A mash up of Rapunzel and Snow White? I'll take it. It sounds like there will be plenty of twists to this retelling. Coming this August. This sounds like the perfect collection of short stories! With a group of fabulous authors including Holly Black, Neil Gaiman, Garth Nix, and more retelling a slew of different stories, including fairy tales and classics, it's like a recipe for my love. If only October would come sooner! 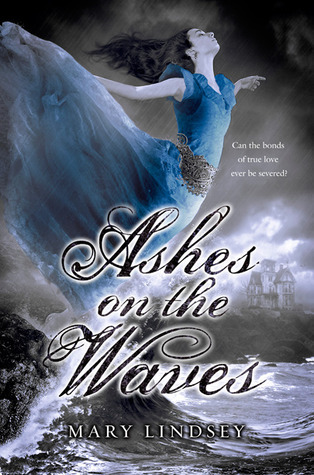 I'm not caught up with all of Pearce's retellings yet, but I'm really excited to hear about yet another fairy tale retelling, this one of the less-well-known Snow Queen. These seem to be all the rage, but I'm eager to give them all a try! Coming in November. This one appears to be a retelling of the Persephone myth, which has seen some kind of huge resurgence in popularity! Either way, I'll give this retelling (series) a try. Coming spring 2014. I'm super excited about this, as it's a MG novel and there don't seem to be nearly as many MG retellings. Also, the description that it is "part origin story, part retelling of The Adventures of Tom Sawyer from Becky's point of view" makes me want to drool upon it NOW. It doesn't come out until summer 2014, unfortunately. 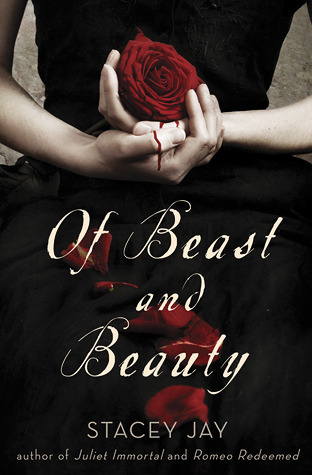 This one sounds intriguing, as it is described as "a series of romantic YA Gothic thrillers inspired by The Strange Case of Dr. Jekyll and Mr. Hyde, Frankenstein, and the works of Edgar Allan Poe, as told by Annabel Lee, a young girl who moves to Philadelphia in 1826 to live with her father and discovers that he may be implicated in a series of murders across the city, and only she can prove his innocence and protect him from the true evil he has created in his basement lab." I mean, really! What's not to love in that? Coming in fall of 2014. This one is retelling of Sleeping Beauty and I'm eager to see where it goes. 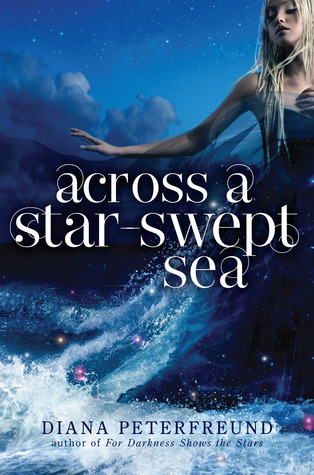 "One hundred years after falling asleep, Sleeping Beauty wakes up to the kiss of a handsome prince and a broken kingdom that has been dreaming of her return, but as her wedding day draws near, Aurora must uncover what has happened while she slept, and must decide whether to marry the prince or run." Sounds like it will have some fun twists! Coming winter 2015. What new or upcoming retellings are you excited about? Matt's grown up knowing he's descended from the god Thor - all his family tends to hold his power and pretty much run everything in their small town of Blackwell. But when portents of Ragnarok, the battle at the end of the world, start to show up, he must team up with some unlikely allies. Fen and Laurie are descendents of Loki, the trickster god and sometime enemy of Thor. Can the three of them get along long enough to find the others who will help them in this battle? I enjoyed getting more Norse mythology - I think it's a super rich source of adventures and interesting stories and there aren't enough books out there about it. It was a fun story, filled with adventures and danger and weird things happening. I liked the idea that they don't have to follow the old tales exactly as they happen and that they want to change things. 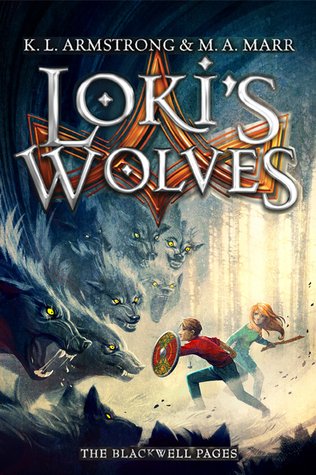 It was a fun start to a new series that will definitely appeal to Rick Riordan fans. I have to admit I kind of just didn't enjoy it. I'm not sure what precise things might have bothered me, but I just didn't love it. Near the beginning, I kept thinking the characters were a little bit older, since Matt is into boxing and wrestling and those don't exactly scream 13-year-old sports to me. They didn't seem like it in a lot of ways. Maybe that's what initially threw me off and I just couldn't get back into it. 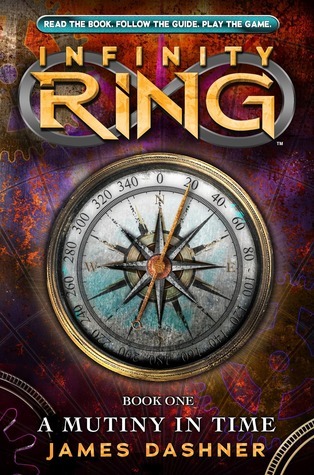 Also, I think it suffers just from being compared to Rick Riordan's books and he does the mythology aspects so well. Still, I think kids will like it, and be clamoring for sequels. What's your favorite mythological book? It's time for another set of "mini" reviews (I use the term mini loosely, as I tend to still go on and on). A handful of audibooks = hours of sanity time for me during my endless commute! 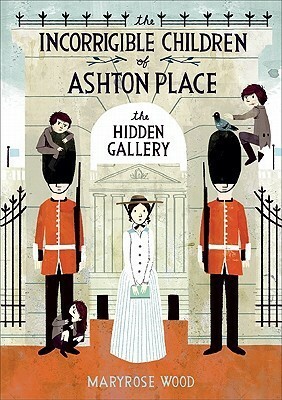 When Penelope Lumley and her charges, along with the Ashtons, make their way to London for a visit, she is eager to visit with her former headmistress. But she gets so much more, meeting strange gypsies, a very nice young man, pirates, and a strange hidden art gallery. Further secrets are revealed about the children and even Lord Ashton himself! I really like this series, but think I'd like it less if I wasn't listening to the audio versions. I was drawn into and involved in everything that went on during the book, but afterward wondered what exactly the point was. They come to London, fiddle around, and then go back home with pretty much no plot moving forward, except perhaps some things that Penelope "learns" Mostly, this one entertains me with its quirky characters and bizarre happenings. And Katherine Kellgren's delightful narrations and voices which she does, as always, quite perfectly. When Lord Ashton's mother shows up for a visit with the brassy Admiral Faucet in tow, they bring uproar to the Ashton house. The admiral is determined to marry Lord Ashton's mother, in order to further is dream of bringing ostrich racing to England. When his prize ostrich runs away, though, the children and their plucky governess are enlisted to head into the forest and track the bird down. Much more seems to be at stake, though, than one lost bird. And this book continues to reinforce my love for Katherine Kellgren's narrations and her ability to portray any kind of voice and inflection and do accents perfectly. I really enjoy the stories in this series, though they seem to meander a bit before getting to their point, but again I'm hooked on these books because of the narration. 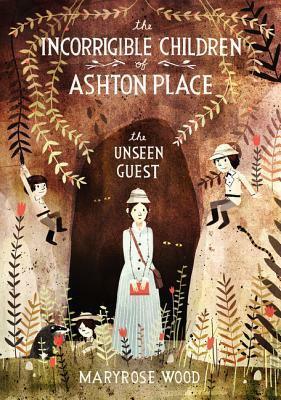 I did enjoy getting more revelations and surprises about the children and the Ashtons at the end of the book, though I'm still a bit in the dark. I will continue to listen eagerly to each addition to this series, however. 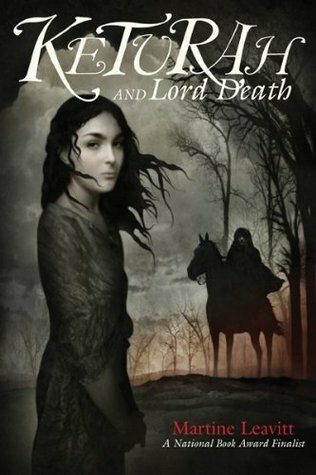 When Keturah is lost in the forest and on the brink of dying, she sees Lord Death and pleads with him to spare her life. He agrees, if she can find her one true love in the next day. Keturah returns to her home, desperate to discover who among all the village boys is her love. But she also has bigger worries about her family and the people she may leave behind if she can't find him in time. I remember reading and loving this story ages ago. I listened to the audio for fun and loved it just as much. Alyssa Bresnahan does a really good voice for Keturah; I was impressed at her tone and how it seemed just right for the story. I love Keturah and how she is both grounded and completely crazy about how she tries to find her true love. She's very determined and I enjoyed listening to her figure out just who it was she loved. It remains a beautifully written, compelling, and interesting love story. Glenn grew up right next to the Rift, with no idea what was on the other side. But, when Glenn's father is arrested for his scientific work, he sends her and her friend Kevin to the Magesterium with no idea of what to expect. In this strange new place, they meet creatures and monsters they never dreamed existed and face terrible choices about the people and places they love. I really struggled with this book. I thought it was very imaginative and really liked how interesting the idea was - that there was this place just on the other side of a border that held magic and power and you were different when you got there. It reminded me of Narnia and those fun worlds within worlds stories. However, the whole story seemed very disjointed, episodic, and completely pointless. It honestly seemed like Kevin and Glenn were simply wandering aimlessly through the Magesterium with no real purpose and no idea what they were doing there. The writing was fell flat for me - I did not like the style at all. I think the audiobook kind of added to my dislike. Julia Whalen, the narrator, seemed to have a voice only suited to a teen girl, which works most of the time with Glenn. But, when she would do voices for the boys or men, it sounded like a person doing a bad imitation of their dad or brother. I just stopped caring most of the way through and I'm still not sure why I stuck with it to the end. I have no clue what the magic is about and why the two worlds are magically separated by a "border." Just a meh book for me. When an old gypsy woman, who told Flavia's fortune, ends up being savagely beaten, Flavia is on the case. But there is much more to this mystery than she first thought, when another body turns up. Flavia must follow the clues to their logical conclusion, even if it means getting in dangerous situations. Pretty much, I read these books for Flavia. She's fun and unique and not what you expect from an 11 year old. I love her obsession with chemistry and her desire to figure things out. She's fascinating and funny and clever and strange. Plus, the other quirky characters in the books are quite interesting as well. I just generally have fun listening to or reading the stories. I loved the narrator, Jayne Entwistle, as she was able to capture a fairly young voice for Flavia and then kind of imitated the way Flavia would think of the adults voices in her head. It was fun. I did finally figure out the mystery in advance, which is kind of a miracle for me as I usually don't. That probably means it's not that complicated, but I still managed to enjoy it. Mystery-lovers will not get a thrill from the mystery, but as I noted, I'm in it for Flavia. Any thoughts on these books? Suggestions for more great audiobooks? 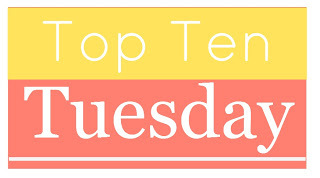 The topic for today's Top Ten Tuesday is I'm super excited about: Top Ten Light and Fun Books! I made this list in about five seconds and I noticed that pretty much everything on here is middle grade - it sure seems like the fun stuff that gives your brain and emotions a break is for the younger crowd. Good thing I tend to really like MG! Pretty much this is a requirement for me on any list of books I love, books that are funny, books that everyone should read, etc, etc. I sometimes struggle with enjoying graphic novels, but Shannon and Dean have created two excellent adventures that I enjoyed from beginning to end. This is an old favorite that made me laugh so hard! I can't seem to remember much about the plot now, as it's been years, but I sure remember loving it. A fun and quirky series, I always find entertainment in reading this not-quite-normal and definitely very secretive series. This is another old favorite that I recommend to just about anyone and anything moving. While it isn't all laughs and light heartedness, Schmidt has a way of creating a scene that has me in stitches for months afterward. It only requires a word or two to make me giggle: yellow tights. Again, this one doesn't exactly have the happiest of endings or the most fun-filled story, but I defy the stone-hearted among us to not find something hilarious in Bartimaeus. Two words: Grandma Dowdel. Trust me, just read them. 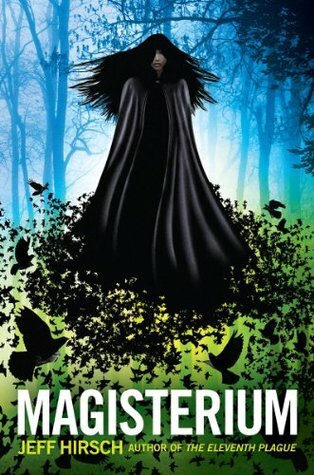 I have yet to pick up Sanderson's adult fantasy stuff (I know, something seriously wrong with that), but his MG series is full of the strange and quirky. It definitely makes for some laughs. Do these need any kind of introduction? I think not. While this does have some darker stuff, Jacky has an irrepressible spirit and vitality that lifts her out of the most difficult of circumstances. And she's just ridiculously fun! Anybody have some great YA books on their light and fun? I obviously need to find some more of those! When Dak and Sera unintentionally discover the secret to time travel, they are swept up into something much bigger than they imagined. The mysterious Hystorians ask them to join their ranks and help to save history, which has gone completely awry. Definitely this book will appeal to younger kids and tweens. I had too many of my adult sensibilities on when I listened to it, so I got annoyed often, but I can see it appealing to younger readers, with its humor and action. I liked the idea behind the books as well - that these kids travel back in time to fix things that went wrong with history. It's a great way to learn history while enjoying it a good story. I liked Dak and Sera and find their interactions to be entertaining and realistic. The story was fun too - saving Christopher Columbus from a mutiny. I managed to overlook most of the logistical issues with time travel and history and enjoy the book. The narrator, Dion Graham, really played it up for kids too - his voices were pretty fun, if over the top at times. As I mentioned, some things really annoyed the adult in me. The kids acted stupidly, the jokes were just plain silly (which, you know, is how I liked them as a kid...and sometimes even now). I had issues with how on earth the Hystorians would have "figured out" what needed to be fixed in time. How would they really know any different? But, ignoring these things, it was entertaining from beginning to end. What kids books does your adult brain interfere with? Friends! I made a tiny bit of progress over the month of April! I kind of switched things up, since I'd been struggling to find something I wanted to read for this. So, I started reading The Turn of the Screw by Henry James, to pair with The Turning by Francine Prose (which I read in January). It's definitely creepy, but I'm still in the building-of-creepiness stage, so more to come. Also, I listened to Strands of Bronze and Gold by Jane Nickerson and decided I had to find the original disturbing tale, Bluebeard, as I've never read it before. As I said, some slight progress. If you haven't signed up for the Classic Double Challenge yet, there's still time! Head over to the sign up page. How about you? 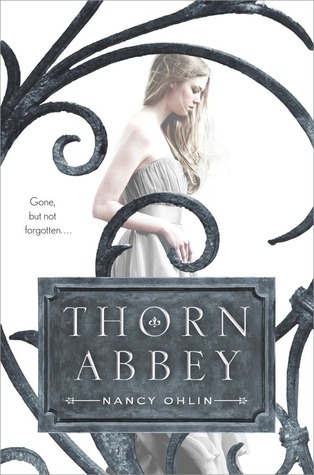 Anybody read any fabulous retellings? Any new or forthcoming retellings you are wanting to read? I'm still working on my retelling news post (oh, how long will it remain in the works), so keep an eye out for that THIS MONTH. Promise.